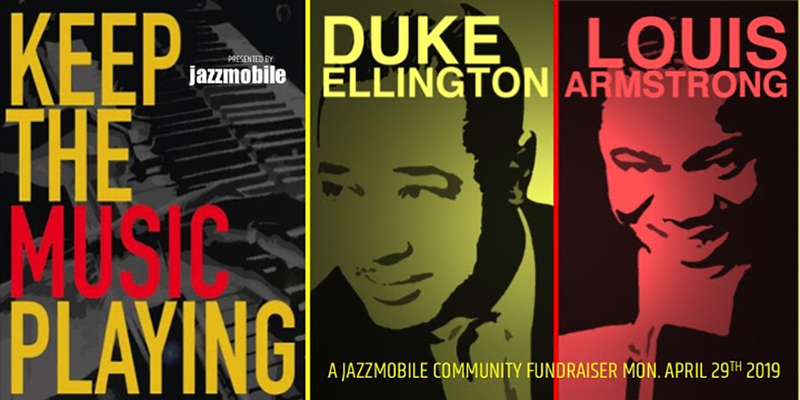 Jazzmobile will celebrate National Jazz Appreciation Month, Duke Ellington’s Birthday, Louis Armstrong and more with the annual event, Keep The Music Playing Concert, scheduled for April 29th. Join Jazzmobile for a three-hour evening of great music. Early Bird tickets now online! Keep the Music Playing will be held on Monday, April 29th from 6:30-9:30pm at First Corinthian Baptist Church, 1912 Adam Clayton Powell Jr. Boulevard at 116th Street in Harlem.